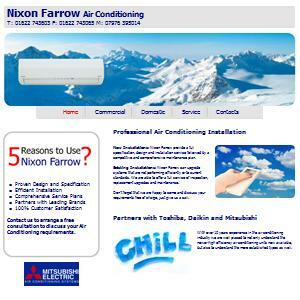 Call us on 01622 726506 or 07711 318714 to discuss your website design requirements. Use arrows to scroll, click on the images to view the live website. 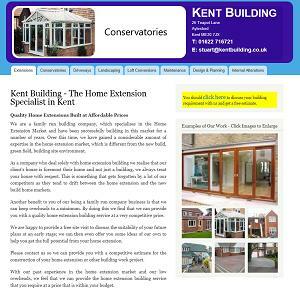 Kent Building wanted a simple clean website to show some examples to illustrate the quality of their past work. We provided them with the abillity to load up pictures into a seperate gallery on each of their pages. 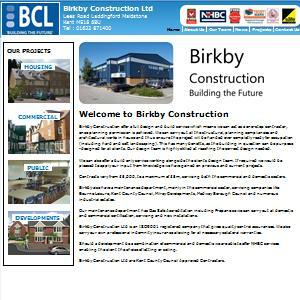 Birkby Construction had grown tied of their old static website and wanted a new website with content which their staff could add too and maintain. We choose Drupal CMS as the core website package and then developed templates to enable Birkby Staff to create and maintain details and upload photgraphs about their Construct Project, News items and Team details. 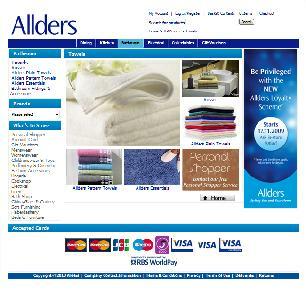 We were asked by Allders to help them develop their existing static website into a fully functional online shop. As well as designing modifications to the ecommerce website package to improve the shopping experience for their customers, we also helped to integrated the ecommerce system with their existing merchandising systems. The Allders store in Croydon is the fourth-largest department store in the United Kingdom. We were asked to provide a clear and uncluttered visual style for their accountancy service website. They have plans to add further pages of useful taxation and accounting information as the website matures. This will help to keep it current. 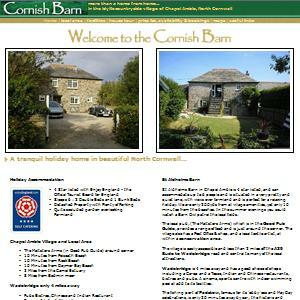 "We are delighted with the website. 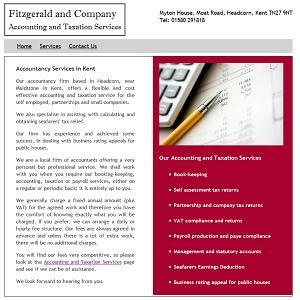 We were particularly impressed with the amount of 'extra' help provided in helping us to improve our google listing" - Fitzgerald and Company. 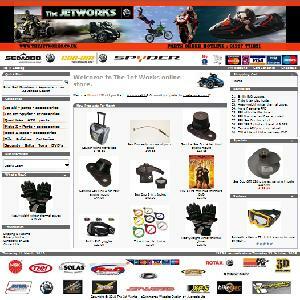 We added a new eCommerce online shop to the back of their existing website. The owner of the business wanted to leave the front end of the website undisturbed, so we linked the backend shop to the existing front end search engine optimised pages. 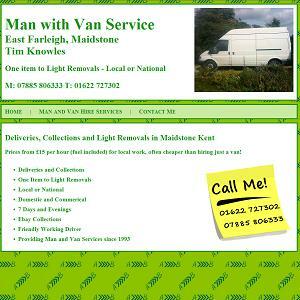 We were asked to provide a no-nonsense website design with a memorable green background colour for this no-nonsense Man and Van Hire business based in Maidstone. 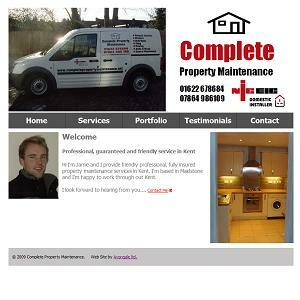 We freshened up this existing site, that was looking a little tired. If you have a website that's looking a little long in the tooth, we can do the same for you! 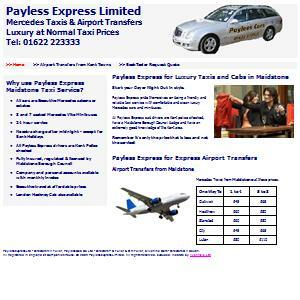 Website design for a taxi company in Maidstone Kent. The client's company merged with another so the website is nolonger available online. "Very very pleased, very professional website design service." 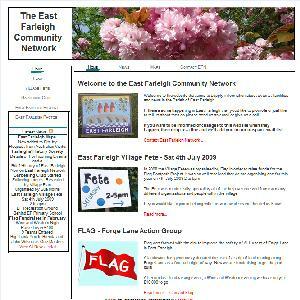 Local Community, News and Events website for East Farleigh, near Maidstone Kent. The site uses the Drupal Content Management System to allow visitors to the site to share and comment on photos of East Farleigh. Vistors must create an account that then allows them to upload photos. 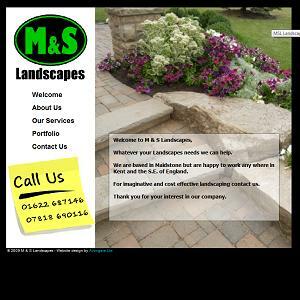 "Thank you very much for creating our website, you have done a fantastic job." "We are very pleased with it." "Avongale ltd provided a friendly, efficient and fairly priced website design and hosting service." "Would recommend the company for all your IT needs." This website shows both a slideshow and an image gallery of completed projects. * - Domain name registration and hosting is available at circa £10 ex VAT per name per annum. If you like what you see in our website design examples, or would like something a little different, then we would be delighted to discuss how we can put the power of the internet to work for you! Just contact us on 01622 726506 or 07711 318714 for further information about our website design service or to arrange a free, no obligation consultation.